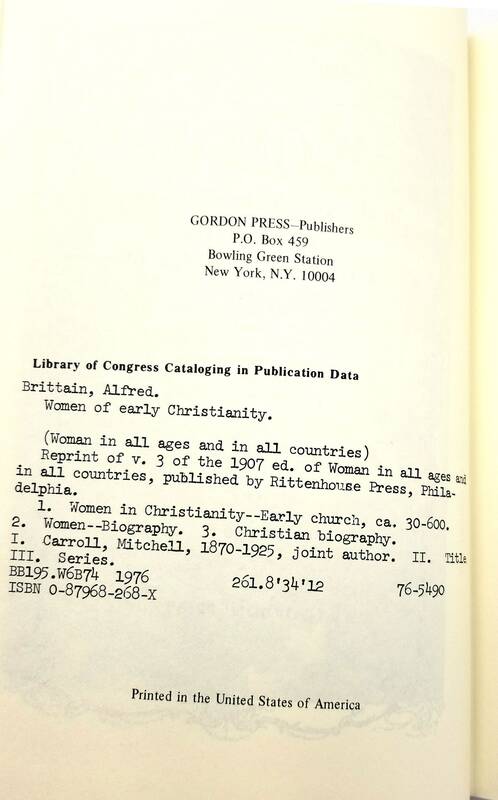 Description: Reprint of Volume 3 of the 1907 Rittenhouse edition of Woman in All Ages and in All Countries. Red cloth boards with gilt titles. Clean and square. Interior is bright and crisp. Gilt on spine very slightly rubbed. A handsome and quality reprint. 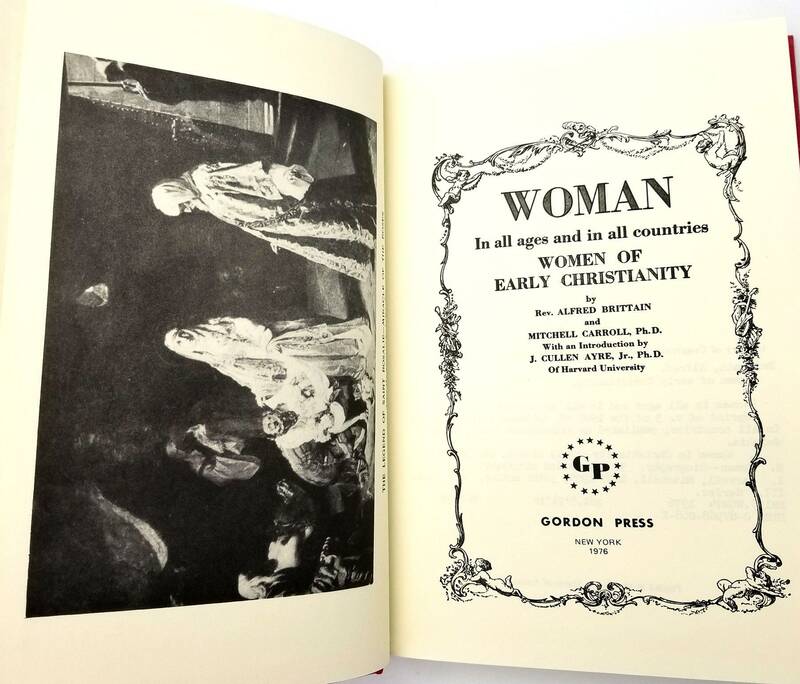 Part One: Women of the Western Empire. 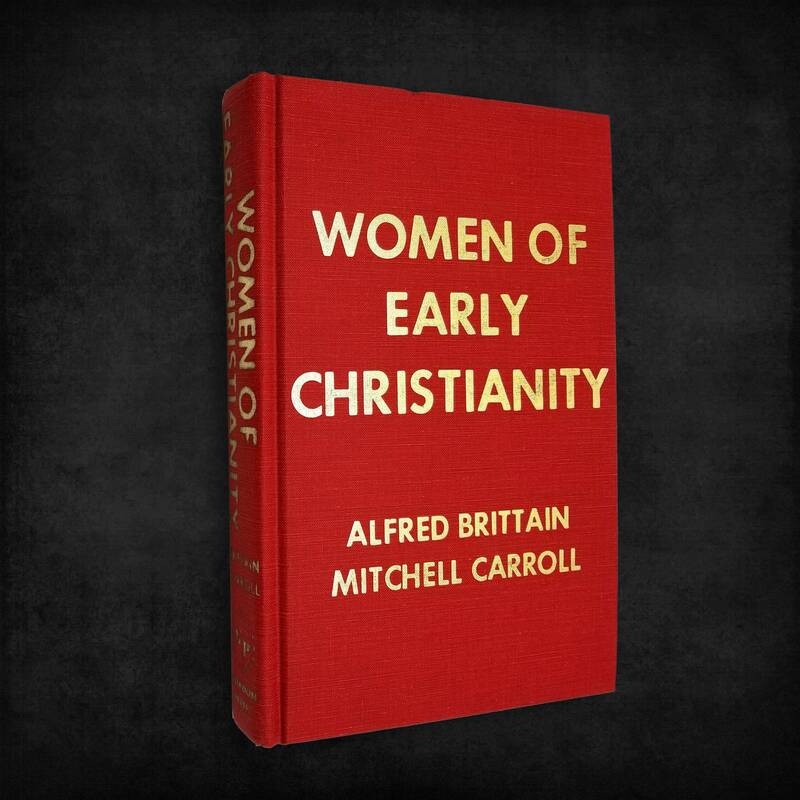 1) The Women of the Gospel Narrative 2) The Women of the Apostolic Age 3) The Era of Persecution 4) Saint Helena and the Time of Constantine 5) Post-Nicene Mothers 6) The Nuns of the Primitive Church 7) Women Who Witnessed the Fall of Rome 8) Women of the Frankish Church. Part Two: Women of the Eastern Empire. 9) The Empress Eudoxia 10) The Rival Empresses--Pulcheria and Eudocia 11) The Empress Theodora 12) Other Self-Asserting Augustae: Verina, Ariadne, Sophia, Martina, Irene 13) Byzantine Empresses: Theodora II, Theophano, Zoe, Theodora III 14) The Princesses of the Comneni 15) Womanhood of the Byzantine Decadence.